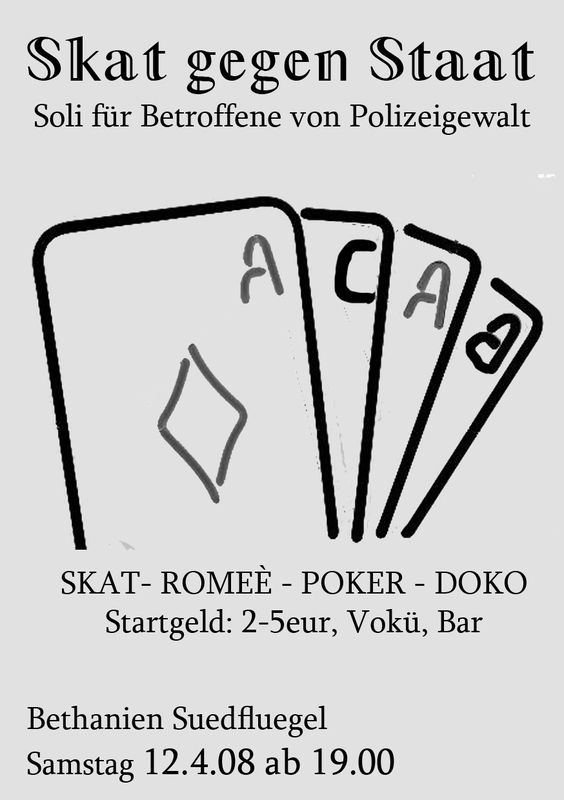 next saturday (12.4) there is a card evening (poker, skat, doppelkopf..) in bethanien. it is a benefit for a friend, who got beaten up by a policemen off duty, and she couldnt work for several weeks. QueerBeograd is a group of people who decided to stand against the violence; Because first attempt of organizing Pride Parade in Belgrade in 2001. was blocked by large group of violent homophobic hooligans; because this violence is a result of politics of war, clericalism, nationalism, militarism and machismo that has been mainstream politics in Serbia during last 15 years; Because second attempt to make LGBTIQ community and politics visible on streets of Belgrade in 2005. Here is the video about second street action of queers in Serbia. Du browst gerade in den entzaubert Weblog-Archiven nach der Kategorie 'Other events'.